Take a look at this immaculate 3 bedroom home! Home features a number of updates on the inside & outside! Kitchen & master bathroom have been remodeled. Master bedroom was expanded & comes with huge walk in closet. Florida room is perfect for a game room, extra study/office or living area. Living room has surround sound and vent less gas log fireplace. Updated landscaping on front and backyards. 12X16 shop has electricity along with decking for the shop and backyard. Security cameras are throughout the property. There are also TWO, 40 gallon hot water tanks (1 for the master bathroom, the other for the rest of the house). Finally, the home includes storm shelter inside garage along with a carport. Fridge, desk & security cameras (except monitor) stays! 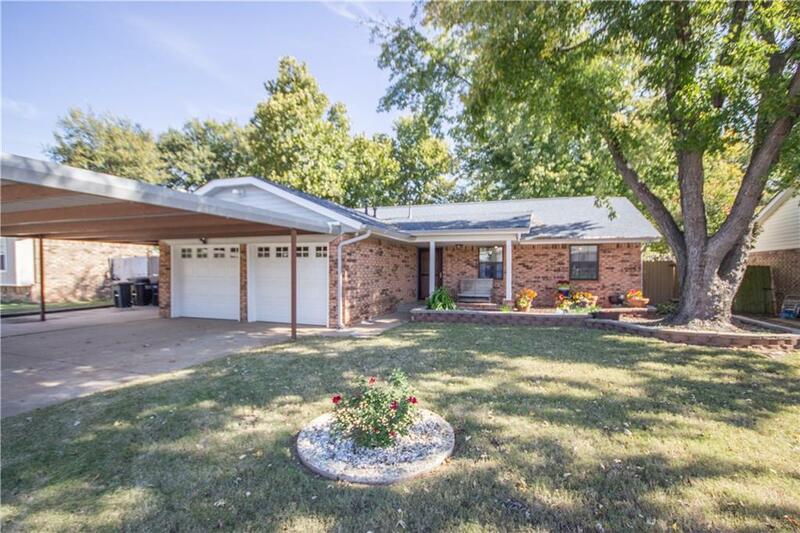 Walking distance from Moore HS, minutes away from I-35, Tinker and downtown. Schedule your private showing today!